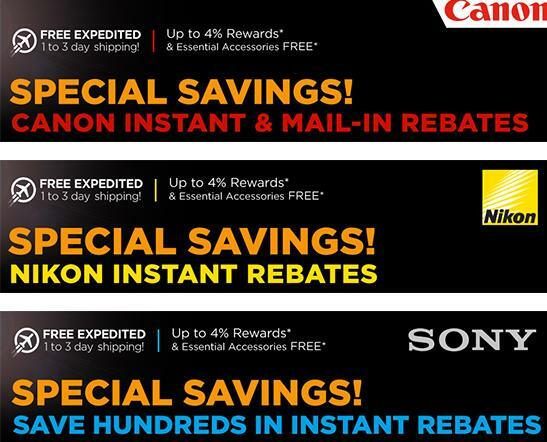 The current big rebates for Canon, Nikon, Sony cameras and lenses are set to expired on January 31st, 2015. There is only 4 days left to get these rebates. Order yours ASAP. New Cameras, Lenses Registered by Canon, Nikon, Sony, Olympus !